John “JD” DeServio, is the current bass guitarist in Black Label Society, joining after the departure of James Lomenzo in 2005.JD was also a member of Pride & Glory, Wylde’s southern rock trio for a short time in December 1994 (again as a replacement for Lomenzo), and was also Black Label Society’s original bass guitarist, playing on the tour supporting their debut album, Sonic Brew. He endorses Schecter basses and GHS strings. JD has his own band called Cycle of Pain whose debut album was released in April 2009 on Reform Records. DeServio has been a resident of Keyport, New Jersey. He’s also a featured artist on the bass guitar instructional website Jamplay.com. JD DeServio is an expert bassist who has played with Lita Ford, Vinnie Moore, Drill and Black Label Society. JD is endorsed by Samson, Hartke, Schecter, Monster, Korg and Coffin Cases. JD DeServio is an expert bassist who has played with Lita Ford, Vinnie Moore, Drill and Black Label Society. JD is endorsed by Samson, Hartke, Schecter, Monster, Korg and Coffin Cases. In the early 1990s, Wylde had formed his own solo band Pride & Glory, playing a mixture of bluesy southern rock with heavy metal. However, they disbanded in December 1994 after having released only one album. Wylde subsequently recorded an acoustic solo album, Book of Shadows (released 1996). 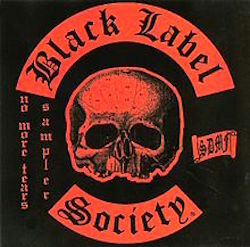 In May 1998, after limited commercial success with Book of Shadows, Wylde and drummer Phil Ondich recorded what became Black Label Society’s debut album Sonic Brew. It was decided, rather than the album being another solo album for Wylde, that they would form a long term band. It was known from the start that Nick Catanese would be retained as the second guitarist in the band (Catanese previously toured as rhythm guitarist for the Book Of Shadows tour). John DeServio, who previously worked with Wylde as a temporary replacement in Pride & Glory, joined as the band’s bassist for the album’s tour. Sonic Brew was released in Japan on 28 October 1998. Due to delays in signing with a record label (Spitfire Records), the album was not released in the rest of the world until 4 May 1999. The No More Tears sampler E.P. 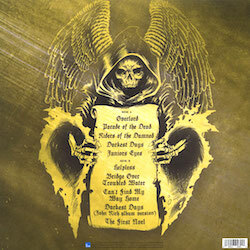 was a promotional compilation CD released to promote both the reissue of Black Label Society’s Sonic Brew featuring a cover of Ozzy Osbourne’s No More Tears as well as Spitfire Records’ reissues of Zakk Wylde’s Geffen Records catalogue, namely Pride & Glory and Book of Shadows. Stronger Than Death is the second album by the heavy metal band Black Label Society. It was initially released in Japan on March 7, 2000 with 11 tracks and in blood red jewel case. Alcohol Fueled Brewtality Live!! 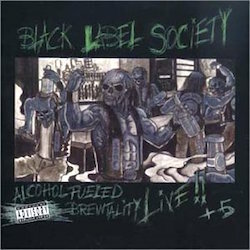 +5 is a live heavy metal album by Black Label Society. It was recorded live on 28 October 2000 at The Troubadour in Los Angeles. Disc 2 consists of 5 new studio tracks. 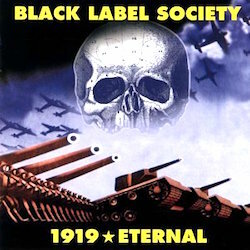 1919 Eternal is the third album by the heavy metal band Black Label Society. 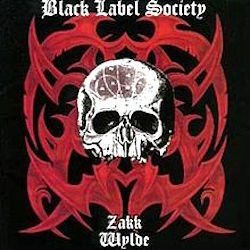 It was released on March 5, 2002 and was written for Zakk Wylde’s father. 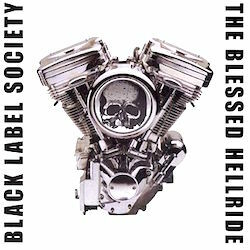 The Blessed Hellride is the fourth studio album by Black Label Society. It contains a mix of heavy and lighter tunes. The second track “Doomsday Jesus” was featured on the soundtrack to the game MTX: Mototrax, but with altered lyrics. Hangover Music Vol. 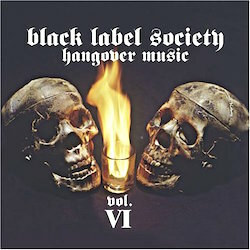 VI is the fifth studio album by heavy metal band Black Label Society, released April 20, 2004. 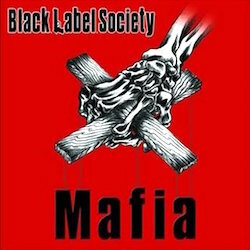 Mafia is the sixth studio album by heavy metal band Black Label Society, released March 8, 2005. 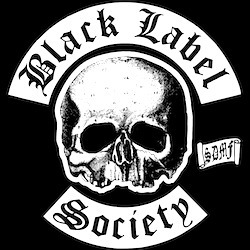 It is one of the band’s most commercially successful releases selling over 250,000 copies in the U.S.
Kings of Damnation 98–04 is mostly a compilation album of Zakk Wylde’s Black Label Society, although the first four tracks are pre-1998 and not actual Black Label Society tracks. 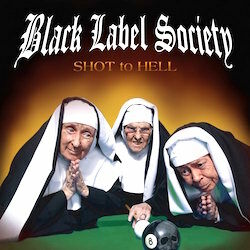 Shot to Hell is the seventh studio album by Black Label Society. It was released September 12, 2006 and was the band’s first record to have been released by Roadrunner Records. 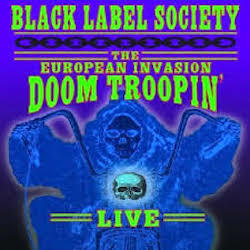 The European Invasion – Doom Troopin’ Live is the second concert DVD of Zakk Wylde’s Black Label Society. It was released in 2006, just before their Shot to Hell album. 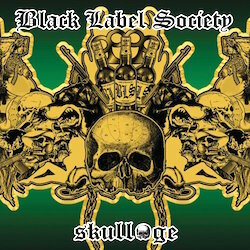 Skullage is a compilation/live album of Zakk Wylde’s Black Label Society, although the first song is from Pride and Glory and the second is from Book of Shadows. Some versions also come with a bonus DVD. 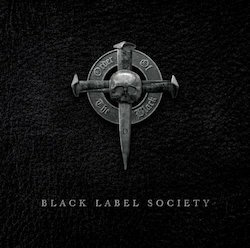 Order of the Black is the eighth studio album by the heavy metal band Black Label Society. It was released in North America on August 10, 2010 through E1 Music. The Song Remains Not the Same is a studio album by American heavy metal band Black Label Society, released May 10, 2011. Funk Bass At Its Best!